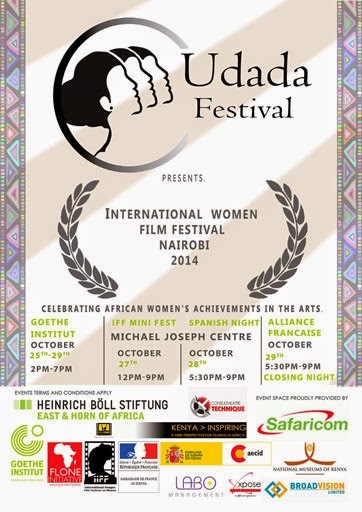 Kenya will be celebrating the UDADA Film Festival, its first women film festival, from 24-29 October 2014. Organized by Kenyans Wanjiru Kinyanjui, Matrid Nyagah and Naomi Mwaura, since its inception the Goethe-Institut has been one of the main supporters. During the six-day event, filmgoers are welcome at the Goethe-Institut to view films from around the world, interact with the women filmmakers and participate in forums, which focus on various aspects of filmmaking and issues relevant to cinema. From the 24th to the 29th of October Kenya will be celebrating its first women film festival, the UDADA Film Festival. Since the idea was born, the Goethe-Institut is one of the main supporters of the six-day event, which has been organized by three Kenyan women Wanjiru Kinyanjui, Matrid Nyagah and Naomi Mwaura from the UDADA Festival Trust (UFT). Visitors are welcome at the Goethe-Institut to watch movies from all over the world, interact with female filmmakers and participate in forums that address different aspects of filmmaking. We met with Matird Nyagah to find out more about this exciting feast. Sabine Bretz: The UDADA filmfestival is the first women film festival in Kenya. Why do you think there is a need for a woman filmfestival? Matird Nyagah: We believe women have many stories to tell. But often African women are not seen as if they can become cinematographers, directors, producers or filmwriters. Speaking from my own experiences, when I tell people I am a filmdirector, they often cannot believe it. Often people think women can just do make-up or be an assistent. We thought, why not empower women through a women’s film festival. Our overall target for UDADA Festival Trust is however broader: we want to celebrate African women in the arts in general. That is why we registered as a trust, so that we can do more things than film. Maybe next year we do music or fine art or fashion. S.B. : Is it the first women’s film festival within Africa? M.N. : It is the second one. There is one in Zimbabwe it is called International Images Film Festival for Women. But it is encompassing all arts. 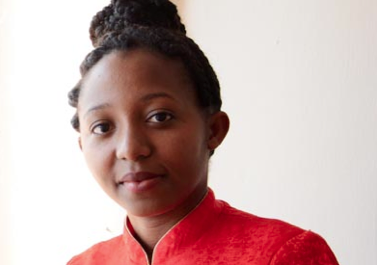 The director is Tsitsi Dangarembga, who will also visit our festival, she will be doing a workshop. S.B. : UDADA is a great name, how did you come up with it? M.N. : Coming up with a name was a whole process where we were discussing different names. Eventually we were writing to this foundation to see if we can partner with them, the Akili Dada Foundation. That’s how the idea of udada came. Udada is Kiswahili for sisterhood, it is unique and it sticks and we wanted something Kenyan. S.B. : How many submissions did you receive since your call for submission, and how many will you be able to show? M.N. : We had about 160 entries! To receive so many films was overwhelming and exciting for us. The six days of the festivals will be packed with 16 hours of film screening. We will show about 87 films: short films including some animations, and 15 feature films. I have gone through almost all movies; they cover a variety of themes. So people should really come, because there is really a lot to gain from it. S.B. : Do you also screen local movies? M.N. : That was our hope, but we were very surprised because we received films from all over the world, just not many from Africa. We received films from Spain, Germany, Italy, France, Switzerland, Belgium, its endless, the list is just endless. But from Kenya, where the idea was born, we didn't have many entries. Somehow I think they felt too close to us. In the industry we are all friends, so some people dropped films way after the deadline. At some point it became difficult for us to accept movies that we received too late, because no one is special, there is nothing we could do about it. We are hoping in the future that we will sensitize a lot of our people to send films, and send them on time. S.B. : Do you have entries from other African filmmakers? films and there is one very interesting film from Ghana. S.B. : Besides a variety of movies, what else can visitor expect? M.N. : Besides the filmscreenings, we have discussion forums and capacity building workshops, where we have experts on particular topics. Women that we look up to. Judy Kibinge is going to talk about film funding. She has a documentary film fund which was initiated through Ford foundation called DOCUBOX and she is also a film director, so she will talk about that.Then we have Marisella Ouma from Kenya Copyright Board. She will talk about how to do the copyright. We thought that would be really important because we have many challenges about copyrights. Another workshop is about how to classify a film. Then we have a workshop about co-production in film by Tsistsi Dangarembga, the lady from the festival in Zimbabwe. The script playwriting and film critique will be held by our former director Dr. Rachael Anyango Diang’a. Eva Mwaniki will discuss film distribution and social media, and we are very happy to have a guest actress from Germany, Stephanie Stremler who will be leading the forum on acting for the screen. The forums will be happening in the morning and the screenings will be from 2 to 8 pm. All forums will take place at the Goethe-Institut and the screenings will take place at the Goethe- Institut and at the Michael Joseph Center. S.B. : To organize a festival is a lot of work, how did you divide the workload among the three of you and who has been helping you? what field, but before anything goes out we make sure to have a meeting to agree on it. Of course we needed more people helping us. We have two interns from Multimedia University, where Wanjiru Kinyanjui lectures. They volunteer for UDADA, and at the same time it is part of what they are supposed to do in school, so they will get credit points for it. They really helped at lot. Then we have three more people, which are our planners. They are also volunteering. S.B. : What are your hopes and wishes for the next years? been trained will come up with a three to five minute story and we shoot it, and screen it at the end of the festival. In general we are full of ideas and plans to promote Kenyan women in arts, in all counties of Kenya. In order to do that we will work hard to make the UDADA Festival Trust grow and grow. S.B. : Thank you for the interview! Sabine Bretz works at the Goethe-Insitut Nairobi as webeditor and is a freelance journalist currently based in Nairobi.